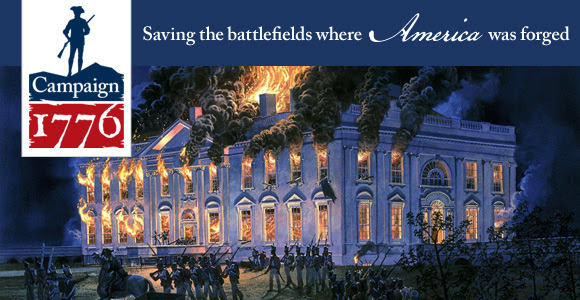 10mm Wargaming: Remember the Burning of Washington! In 1814, British leaders deployed troops and ships to raid the American coast to bring the War of 1812 to an end. They hoped to draw American forces away from Canada and retaliate for the destruction of Canadian cities. Washington, DC was an attractive target because it was poorly defended and an invasion would be especially embarrassing to the young American government. After defeating American troops at Bladensburg on August 24, redcoats marched into the city. As American sailors burned ships and supplies at the Navy Yard, the government fled into the countryside of Virginia and Maryland, hastily grabbing what records, artifacts, and valuables they could. British troops under Admiral George Cockburn promptly burned almost all of the government buildings, most famously the Capitol and White House. That night, the glow of the fires was visible for 40 miles. Looting and a fierce storm that followed devastated many of the private buildings that had escaped the British torch, leaving the Federal city a wreck as the British withdrew to begin an attack on Baltimore. Faith in the Madison administration was at an all-time low, but despite the destruction, the government decided to reconvene in Washington in defiance of the British. American victories at Baltimore and Plattsburgh also bolstered morale. Most importantly, the burning of Washington proved that democratic government could survive military disaster while maintaining its legitimacy and effectiveness under the strain of war. For more resources on the War of 1812.